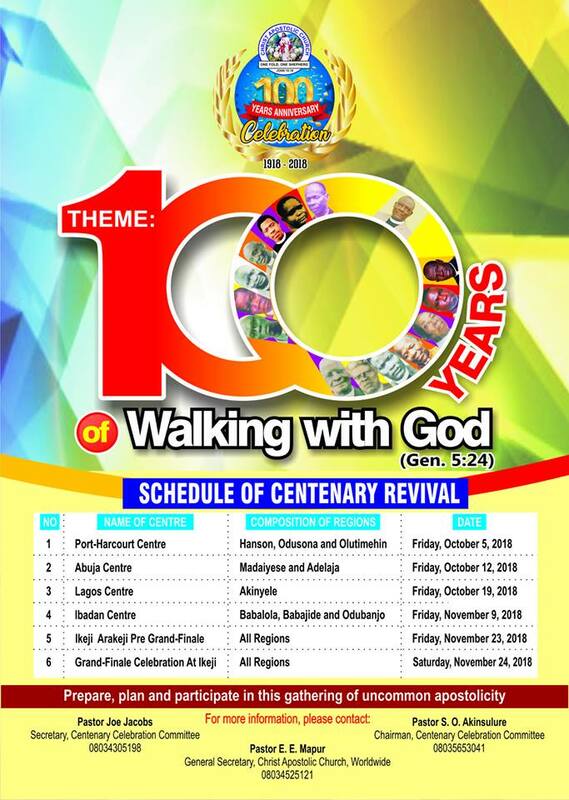 Christ Apostolic Church, Canaanland headquarters, garage Olode Osun state has concluded plans to hold the 4th edition of her annual Interdenominational Youth Power Explosion programme. 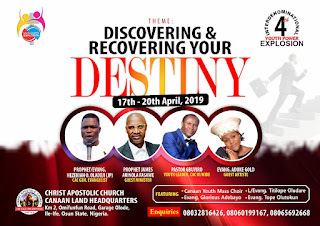 The programme would hold from 17th to 20th of April, 2019 with the them "Discovering and Recovering Your Destiny." 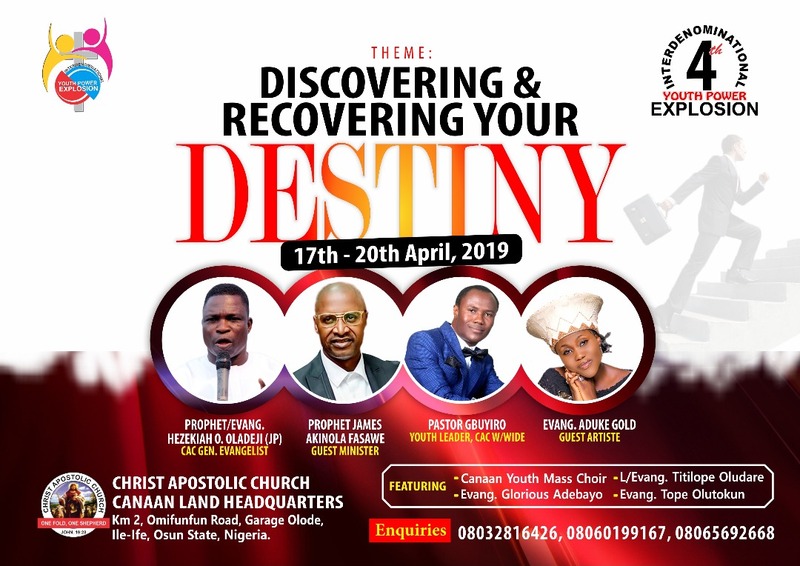 General Evangelist of CAC Worldwide, Prophet Hezekiah O. Oladeji, Youth Officer, CAC Worldwide, Pastor Samson O. Gbuyiro and Prophet James A. Fasawe are to minister to lives for total discovery and recovery of destiny. 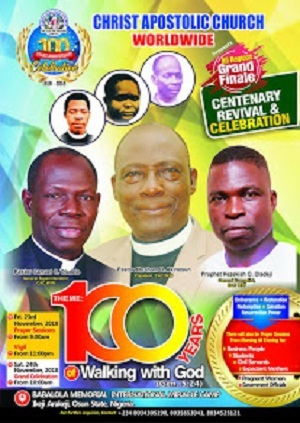 Guest artist for the programme is Evang. Aduke Gold.